To celebrate all this new-found newness, the Chicago Gooners are excited to launch this brand new version of our website! As this season goes on, look for us to continue to make changes. We like it loud in our pub. If you're joining us for a match, being too quiet will cause people to ask, "Is this a library?" multiple times at extreme volumes. Don't worry if you can't sing well. We look for quantity in our singers over quality. Also, what is this, a glee club? We expect drunken yelling, not operatic arias. Open for every Arsenal match. But it's really early! Yup. Still open. 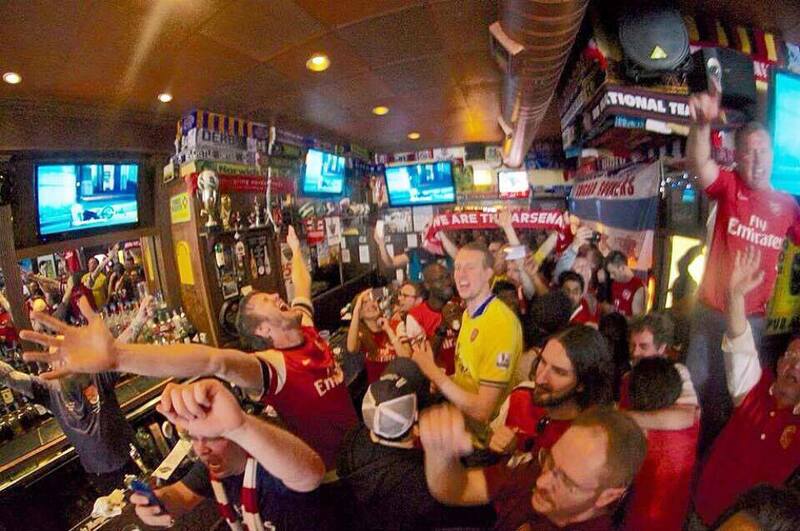 Are you a fellow Gooner who's moved to Chicago or just visiting, and want to join us in drunken celebration of the Arsenal? Are you a Globe Pub neighbor who's wondered what the hell is going on in there at 6:30 AM on a Saturday in February and would rather be part of the fun? Have you suffered from Spurs fandom in the past and are ready for a change? Chicago Gooners are here to help. Please, contact us before it's too late.